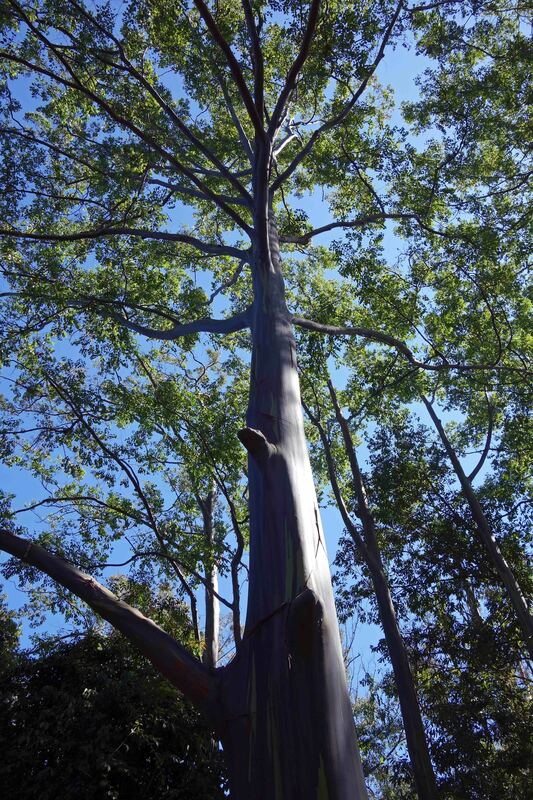 The Rainbow Eucalyptus tree is a strikingly colourful eucalypt which originated from South East Asia (the native distribution covered: New Britain, New Guinea, Ceram, Sulawesi and Mindanao) (1). It is a member of the family Myrtaceae, and it can now be found growing throughout the tropics, because as well as being beautiful, it is a very fast growing timber species and is also used as a shade tree for growing coffee. 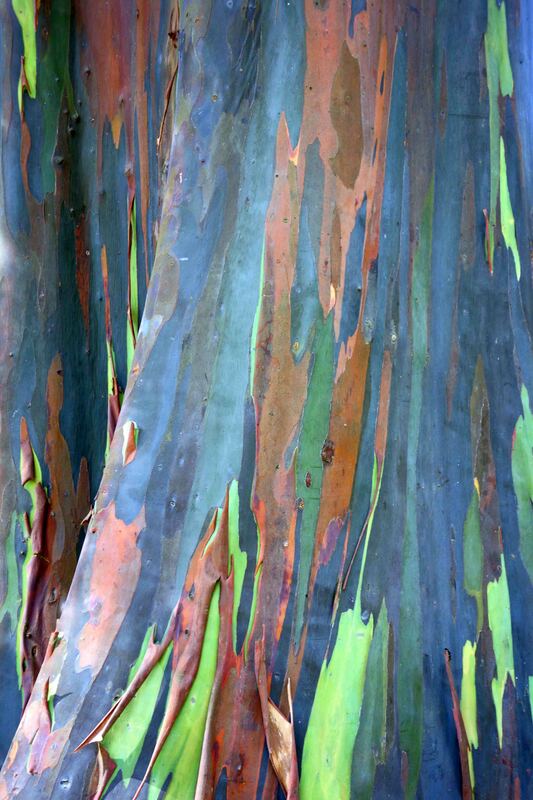 The multi-coloured bark is produced by the shedding of patches of bark, which first reveal a bright green inner bark. This then changes to give blue, purple, orange and maroon tones as it presumably dries out and is eventually shed. 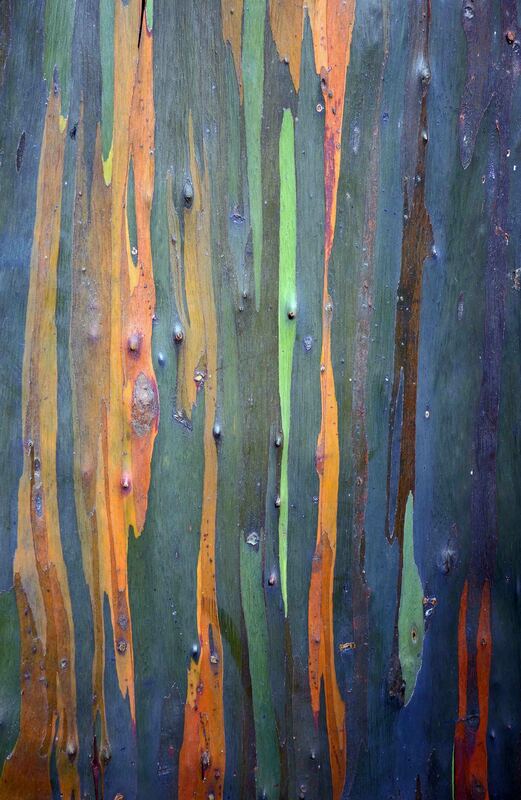 I am not sure why the colours occur; perhaps they are related to the essential oils which eucalyptus trees contain. I took these photographs of a tree which was in the Headquarters of the lovely Doi Sutep-Pui National Park, located near the city of Chiang Mai in northern Thailand. I discovered another WordPress blog – Ink Chromatography – which features this tree and is well worth reading (2). Previous Previous post: Dandelions are born survivors!